Jolted by the recent massive flooding caused by torrential rains, residents of the mentioned places have formed a coalition to pressure the government to enforce compliance with its drainage master plan, among others. They said the collaboration followed a series of failed efforts aimed at forestalling the floods, which damaged properties, left many residents stranded in their homes, while others had to flee their houses to hotels and friends’ homes on the mainland. He indicated that the residents in the zones were ready to contribute money to do the secondary drainages so that they could flow into the primary drain, which would then flow into the lagoon. 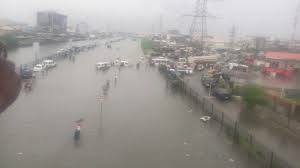 Ladega noted that Ikoyi and VI were shut down by floods on July 10, 2011, but the scope of what was experience in July 2017 was wider and horrendous. “We had water cascading from off the road towards us because the highway itself that was constructed was not equipped with a collector drain,” he added. According to him, the causes of flooding include the distortion of the drainage master plan; lack of maintenance of the drainage structures; the inability of the critical ministries of environment, waterfronts, and physical planning and urban development to work together; and sand filling of lagoons and oceans. 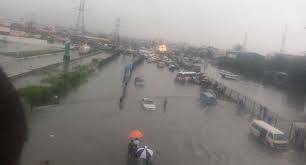 The Estate Manager, Osborne Foreshore Estate Phase II, Ikoyi, Lt.-Col. Philip Ansa (retd), said a building was pulled down on Thursday in the estate on the order of the Lagos State Commissioner for Environment, who was invited to witness the flood in the estate on July 8. He explained, “Somebody was given approval to build, and he built right to the edge of the water. I was there at the site on Thursday when it was pulled down; there were arguments between the people from the ministries of Physical Planning and Urban Development and those from Environment. The government, in a statement signed by the Commissioner for the Environment, Dr. Babatunde Adejare, expressed dismay that the lawless activities of some people were constantly putting the lives and property of residents at risk. Some of the areas listed include Ilubirin, Dolphin Estate, Osborne Foreshore Estate, Ikoyi, Osapa London, Ikota, Ogombo, and Lekki, among others.